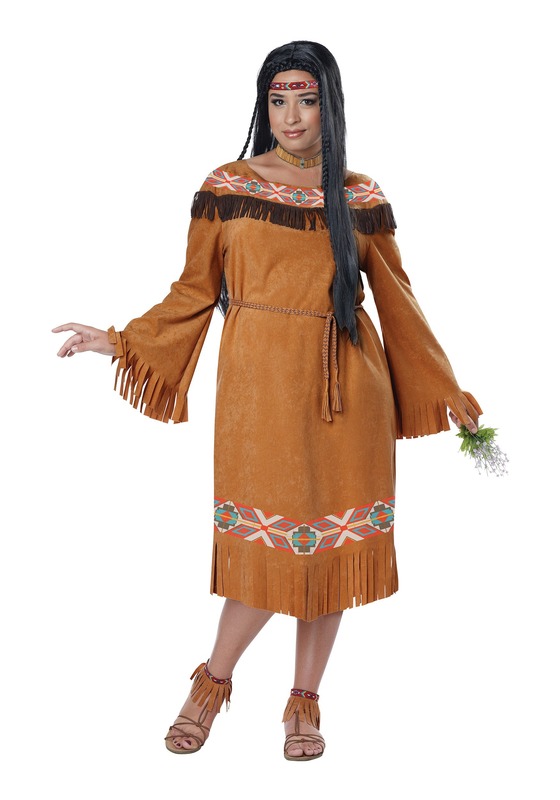 Step into a world inspired by the First Nation people with this plus size Native American-inspired costume. This polyester pullover dress with printed trim and fringed edges gives you the look resembling those worn hundreds of years ago. Matching anklets close with Velcro and make for the perfect accents to an already beautifully decorated leathery look. The final two accessories, a bead print headband, and woven belt complete the look and will have you feeling like your cityscape is just a bit closer to the more naturally inspired world of the past.